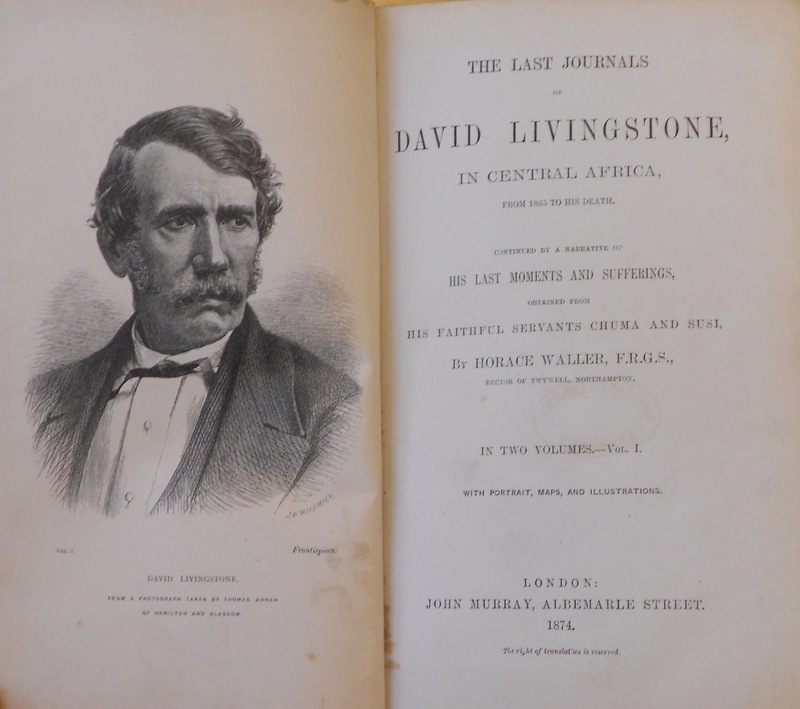 Tuesday, March 19 marks the 200th birthday of Dr. David Livingstone (March 19, 1813 - April 30, 1873), the famous Scottish explorer and missionary who traveled throughout Southern, Central, and Eastern Africa and wrote extensively about his journeys. In popular culture, Livingstone is most often associated with Henry M. Stanley’s statement, “Dr. Livingstone, I presume,” supposedly uttered in November 1871 when Stanley tracked down Livingstone on the shores of Lake Tanganyika. But David Livingstone’s life was much more than one line that may or may not have been spoken. During his life, Livingstone lived for several years throughout the continent of Africa, at first as a missionary and later as an explorer. 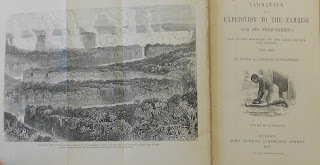 He led expeditions to traverse the African continent from West to East (Luanda, Angola to Quelimane, Mozambique), chart the path of the Zambezi River, and find the source of the Nile. Livingstone’s life and exploits are not without criticism. 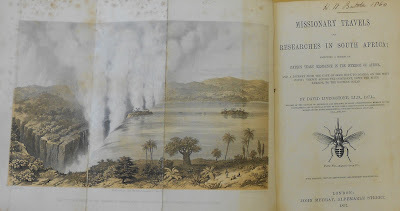 Some often cited faults are that his expeditions were often rife with troubles and lacked organization, his theories of the source of the Nile were incorrect, and the movement to colonize Africa and the Scramble for Africa cited Livingstone’s travels to the interior of the continent as inspiration. At the same time, Livingstone has received praise for his strong contempt for slave trade and his interest in setting up “legitimate trade” with the peoples of the areas he traveled. His beliefs about slavery and the peoples of Africa inspired abolitionists and, later in the 20th Century, those opposed to European colonization. The complex life of this 19th Century celebrity is documented in numerous texts. 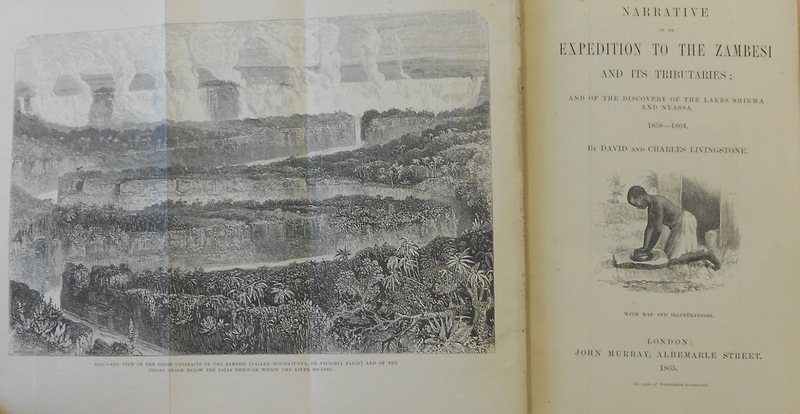 Among three of his most notable works are Missionary Travels and Researches in South Africa (1857), Narrative of an Expedition to the Zambesi and its Tributaries (1865), and The Last Journals of David Livingstone, in Central Africa, from 1865 to his death (1874). 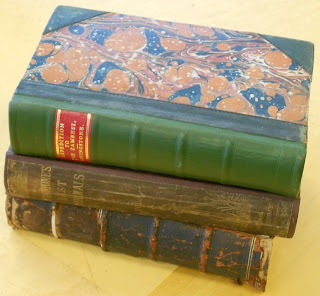 The Clarke Historical Library maintains first editions of all three of these works as part of our holdings (pictured). 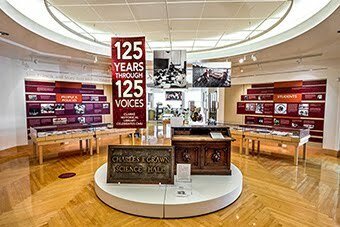 These rare texts are among thousand of historical maps and texts that make up the Clarke's Africana and African-Americana collection.